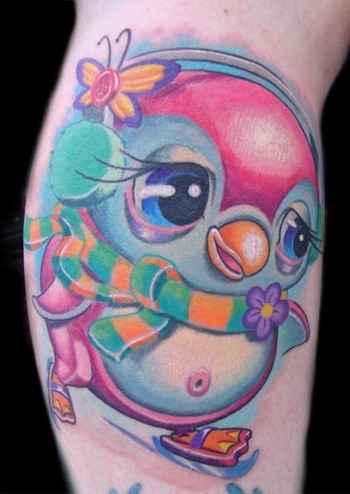 Today’s Tattoo Spotlight focuses on the whimsically colorful work of Scott Olive. His creative characters are top-notch and done with a brilliant and bold flair. Browsing through Scott’s portfolio is like enjoying a fanciful romp through a storybook full of an imaginative cast of critters - one in which you can’t help but smile at while on your jaunt. It doesn’t take long to recognize what a talent Mr. Olive is and appreciate all that brings to the tattoo table. 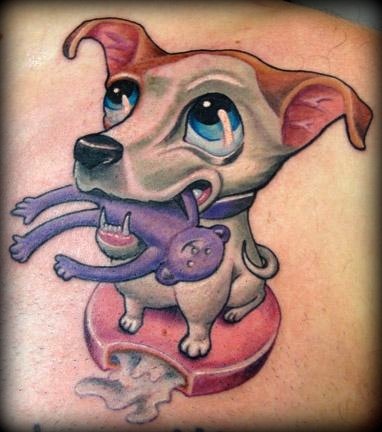 Hailing from Tampa, Florida, Scott apprenticed three-and-a-half years ago under Travis Franklin at Oddity Tattoo. He is still a part of the Oddity family in Sarasota, where inspirational artistry is the name of the game. Before Olive became a tattooist, he was employed in the pizzeria business and tells me that he is still quite partial to the saucy Italian pies and would eat them every day if he could. With his sense of humor and keen eye for artistic style, it’s easy to see why Scott has built up such a loyal clientele. His favorite subject matters to ink are monsters and animals and his goal with each piece he executes is to “make the person smile or laugh when they see it.” I think that’s a pretty fantastic objective to work towards, and knowing how charming his designs are, I have a feeling he accomplishes this every time he finishes a tattoo. When he’s not tattooing or painting, you will find Scott spending time with his beautiful girlfriend and two English Bulldogs (and probably eating pizza). 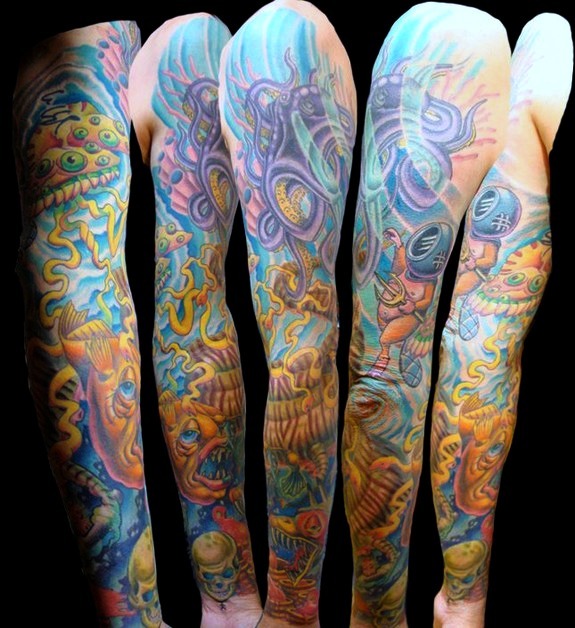 ;) It is such a pleasure to bring you the work of this tattooing talent who has nothing but a bright future ahead of him. 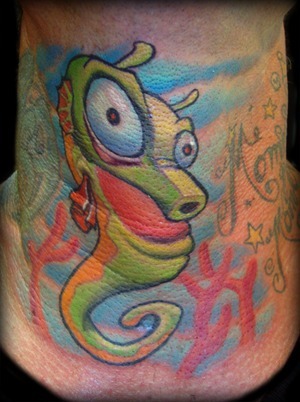 Be sure to visit Scott's website: www.scottolive.com and see the rad work going on at Oddity Tattoo as well.